There are different kinds of dog breeds in the world – all of them with their own unique features. Here’s one such dog breed which has a pretty uncanny feature. 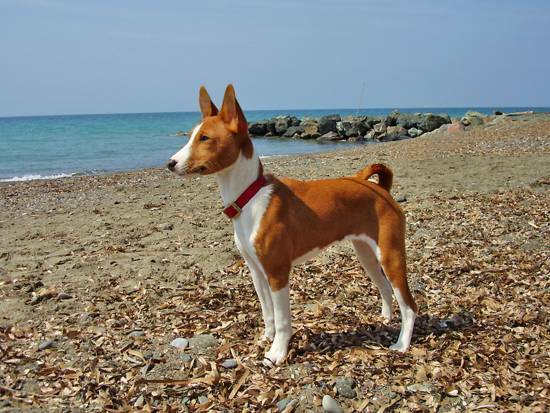 The Basenji – a dog breed, usually found in central Africa is one breed of dogs which is unable to bark! The reason for this is that their larynx has a very unusual structure which can only produce a yodel like sound. For this reason they are also known as the “Bark-less Dogs”. They also have many other characteristics such as– they have only one breeding season, while the other dogs might have two or more. Also these dogs are very moody and according to their moods they may even howl and growl – even though they are not capable of barking. And we humans thought only we had mood swings! These dogs tend to be very well built with athletic bodies. Their head remains wrinkled around their forehead and their muzzle is shorter than their skulls. Their almond shaped eyes have colors that range between dark brown and dark hazel. 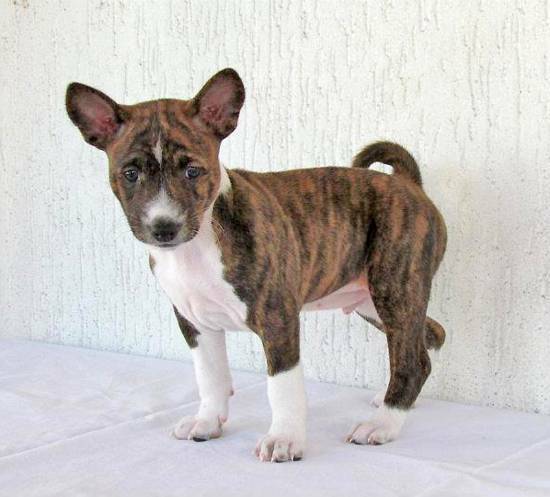 Their ears remain straight and erect and are open from the front end. The tail has its usual dog-like curl. The Basenji dog is known to be very attentive and curious. They are easier to shed and they get along very well with children. They are obedient and they listen to their trainer, but as soon as the training gets boring, they tend to quit. 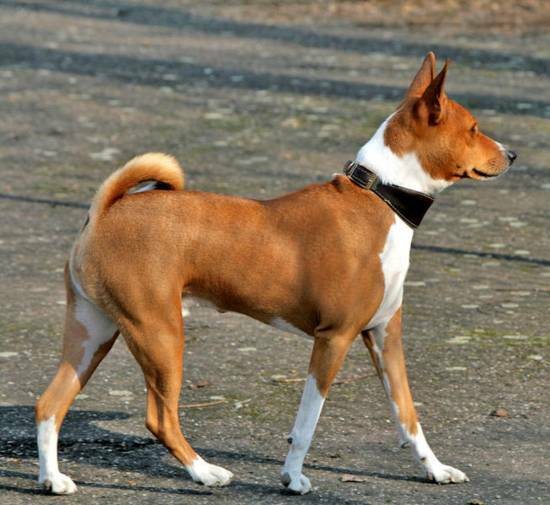 When near a Basenji dog, remember that they love to play around and are very independent, because they hail from the jungle and are used to roaming around freely. They had to survive being quick witted, so they have sharp senses. One of the facts which you might love is that these dogs have no dog odor, although they are found to be hypo-allergic. So if you’ve wanted to tame a stress-free dog, the Basenji probably should be your first choice!